When I first started my blog, my son sent me an email with recollections of a few items that he remembered me baking when he was growing up. 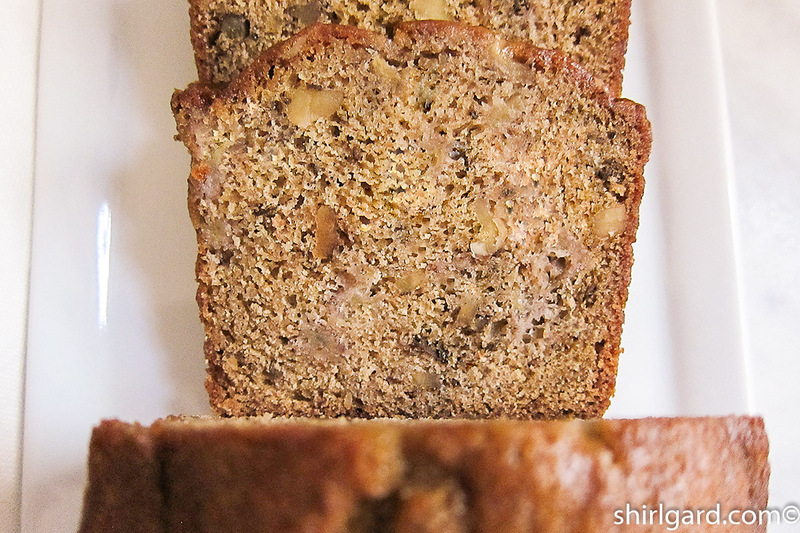 One of those things was this Banana Brown Bread. 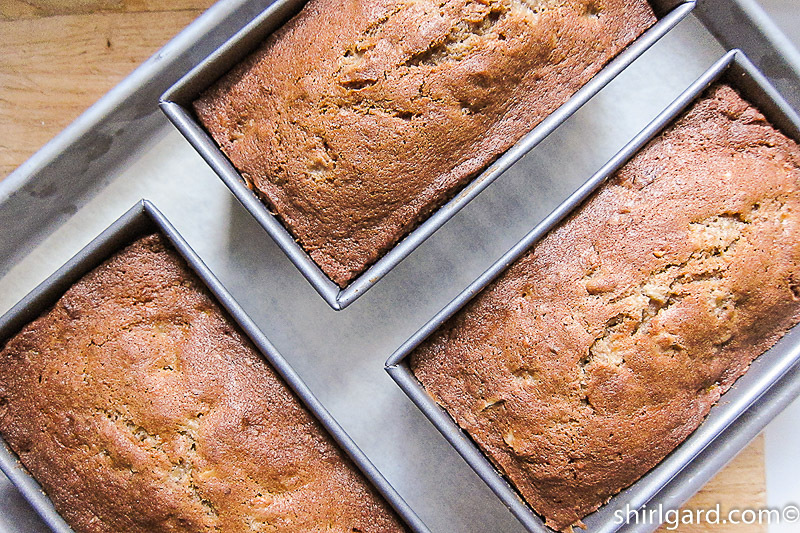 In the email, he reminisced about banana bread “cooling on the kitchen counter”. I knew immediately which recipe he was talking about because it was one that I had baked many times. I had snipped it out of Gourmet Magazine in 1973 when my son would have been about 7 years old. 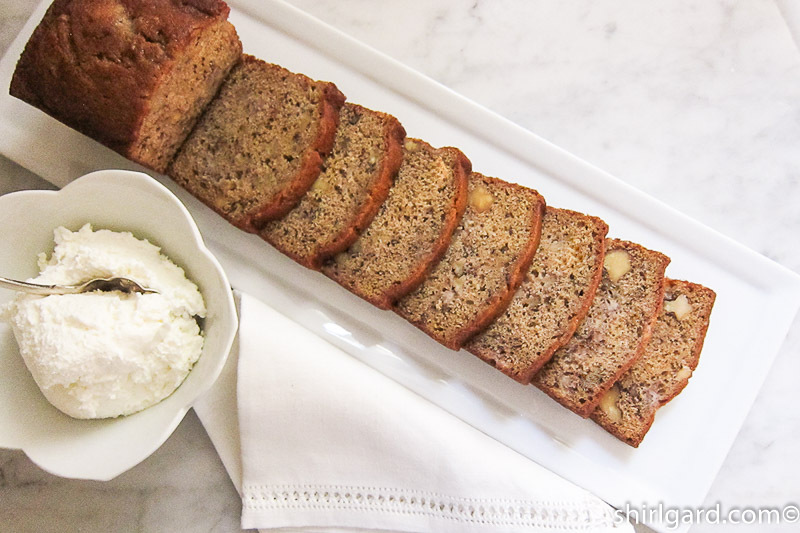 We had a white tile counter top at that time and I could easily envision those banana breads cooling on that counter. 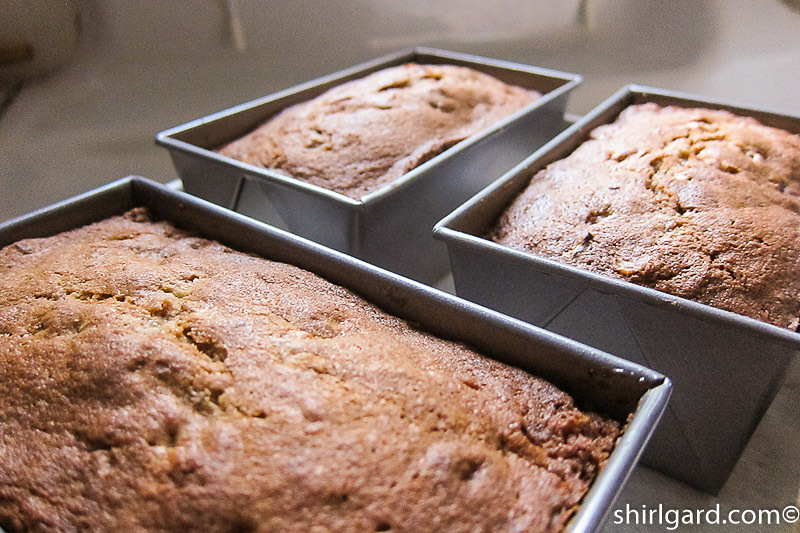 This is such a nice memory that I thought you might also like to see banana breads cooling on your kitchen counter. 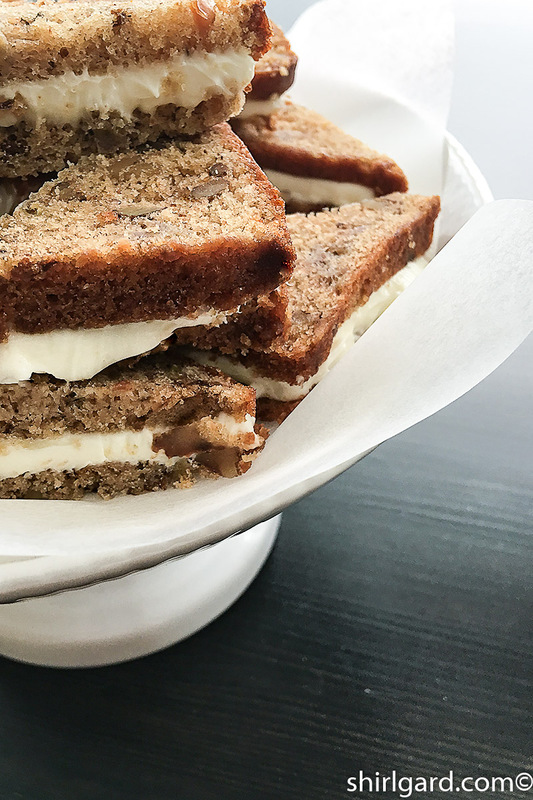 This recipe makes three beautiful mini loaves of moist brown quick bread packed with bananas and walnuts. 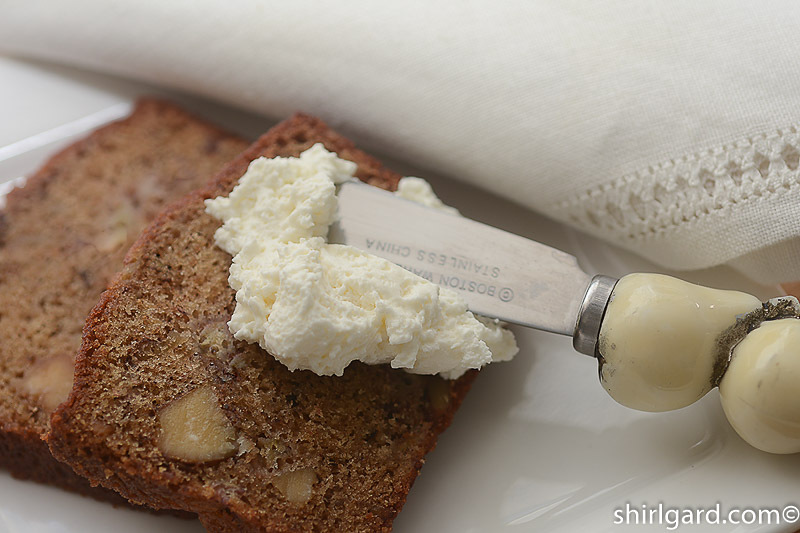 Quick bread is an old-fashioned name for breads leavened with baking powder or baking soda instead of yeast. What makes it brown?……. 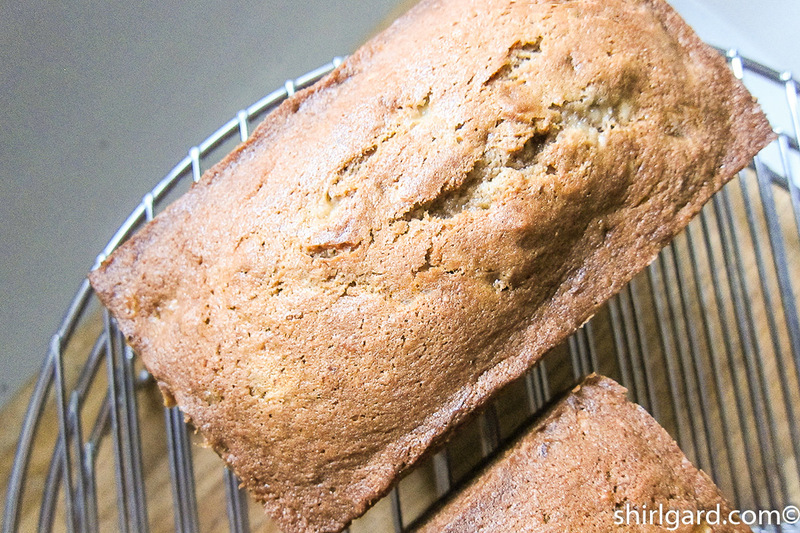 A generous helping of light brown sugar and a smidgen of whole wheat flour. 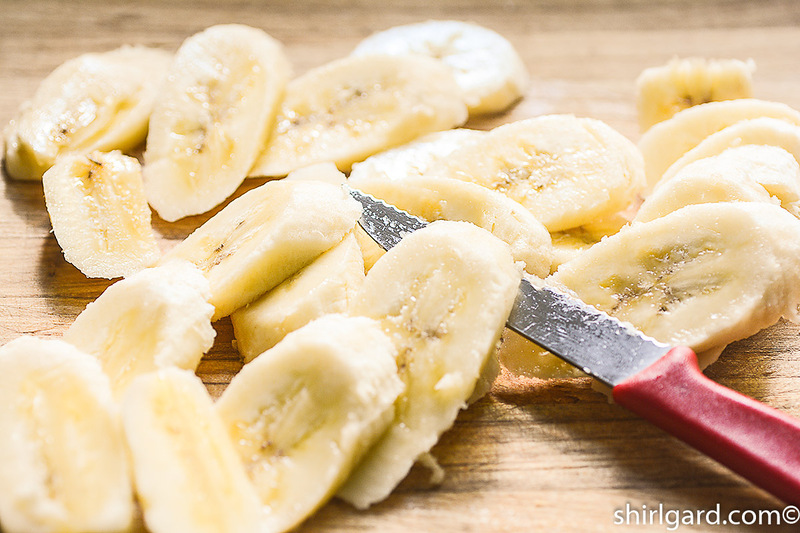 Also, the bananas are plentiful and are finely diced instead of being mashed, like some banana bread recipes. 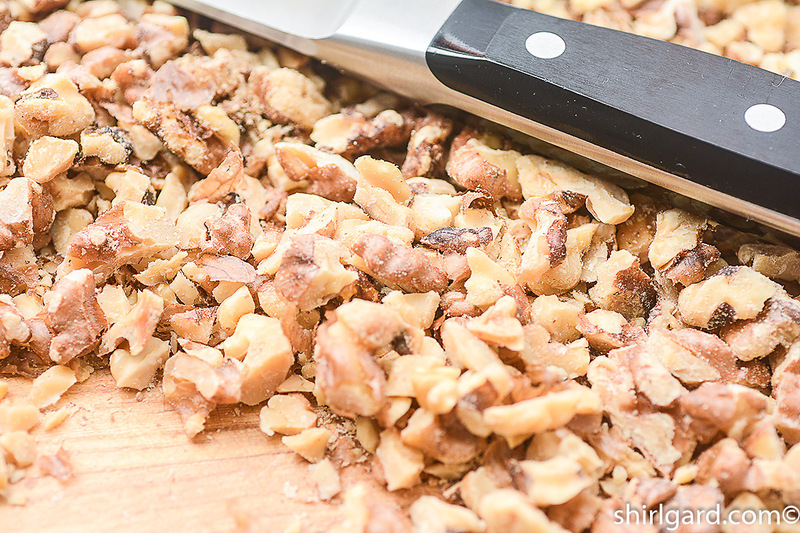 The walnuts are toasted and coarsely chopped; you will know when you bite into a walnut chunk because it will be crunchy yet tender. 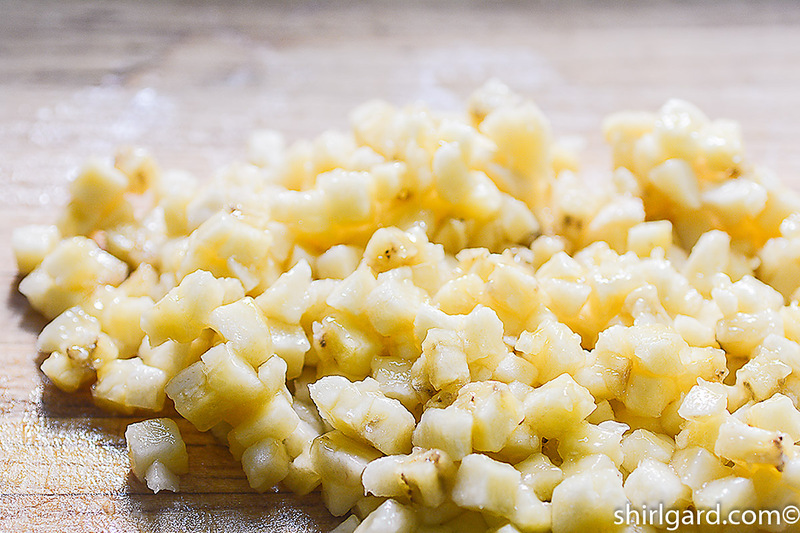 When I first started making this recipe, it always sank in the middle. I had no idea why that was, but it was so good, I just kept making it anyway. 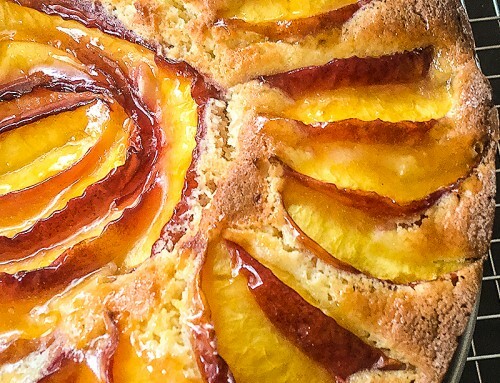 Years later, after I became a pastry chef and had taken courses in baking science, I was finally able to figure out what was wrong with the recipe. 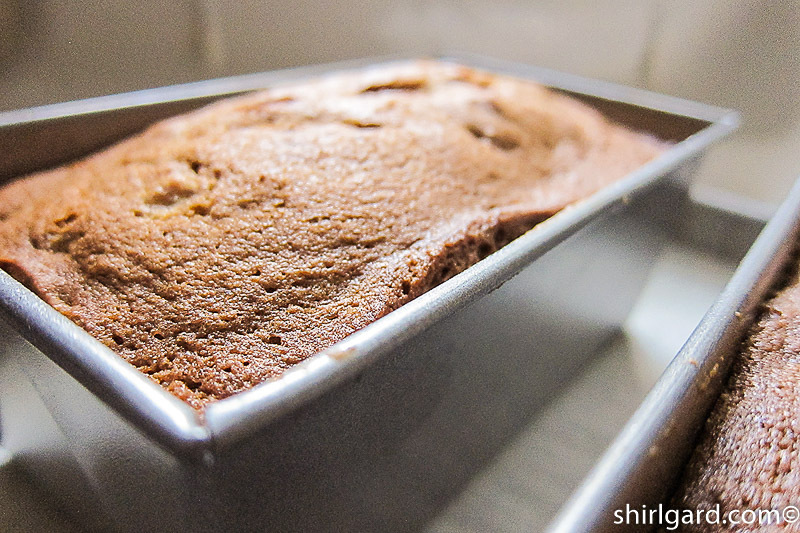 It simply had too much leavening, in this case, baking soda, which is always a prime suspect when a cake or quick bread like this falls or sinks in the center. 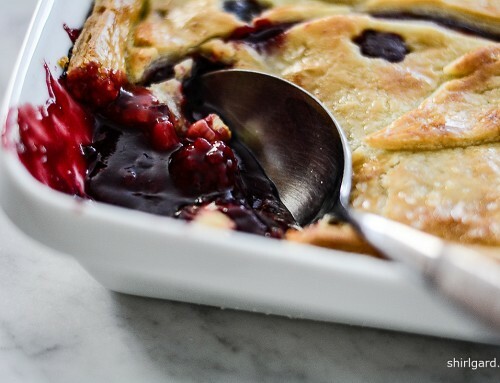 So I cut back on the leavening and reduced the sugar as well, because so many old recipes are simply too sweet for my taste, and I suspect, for the taste of many people. 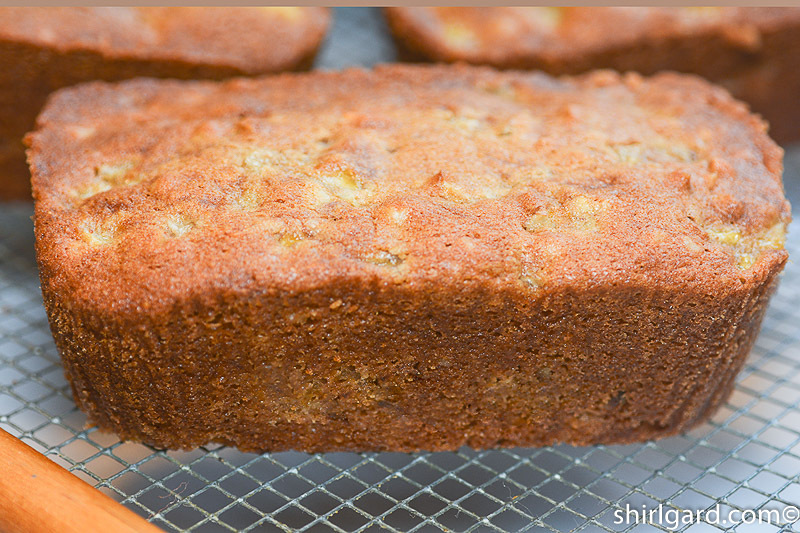 This Banana Brown Bread is a great recipe that has seen many bakes and a few tweaks through the years, and is one that I am happy to share it with you today. I bake this bread in mini loaf pans; the recipe makes three. 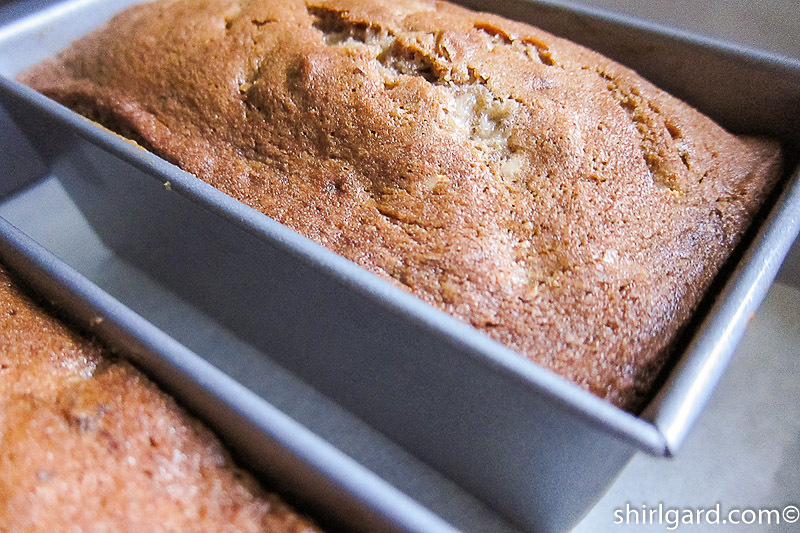 If you don’t have mini loaf pans, you can use the disposable aluminum baby loaf pans that you find in the grocery store, which are a little smaller than mini loaf pans, so the recipe makes four of those. 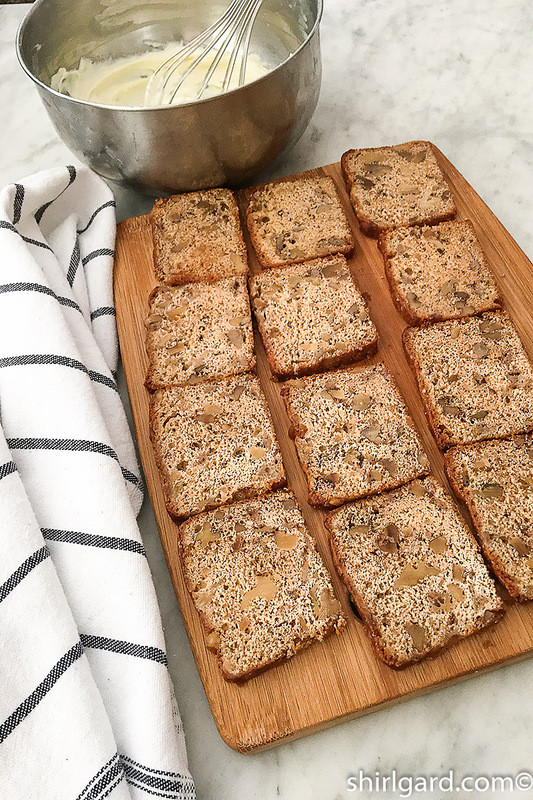 This bread is a little too soft to slice into neat thin slices when room temperature, so I always chill the bread until firm, then slice into 1/4″ slices. 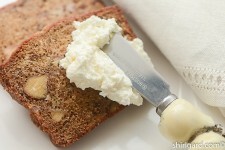 To make little sandwiches, freeze the thinly sliced bread, and spread with whipped cream cheese. Freeze assembled sandwiches, then cut in half on the diagonal and stack on a pretty cake stand. They will thaw very quickly. 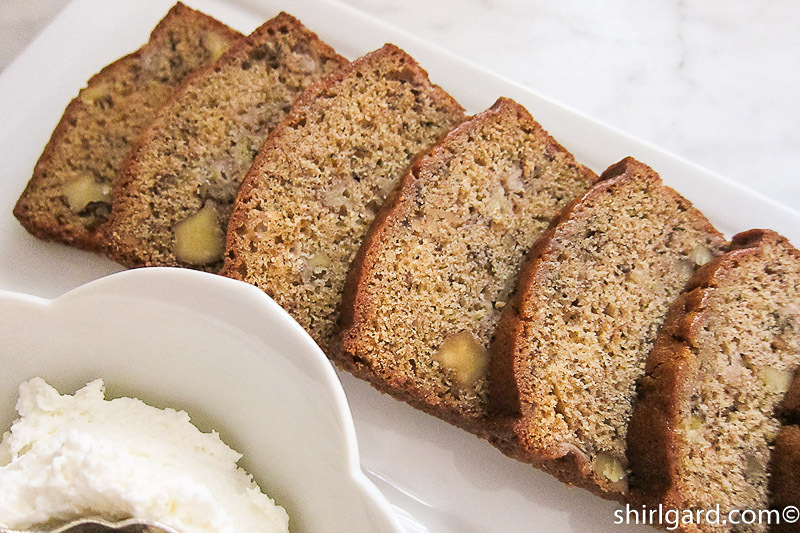 The banana bread can be sliced in thicker slices at room temperature. 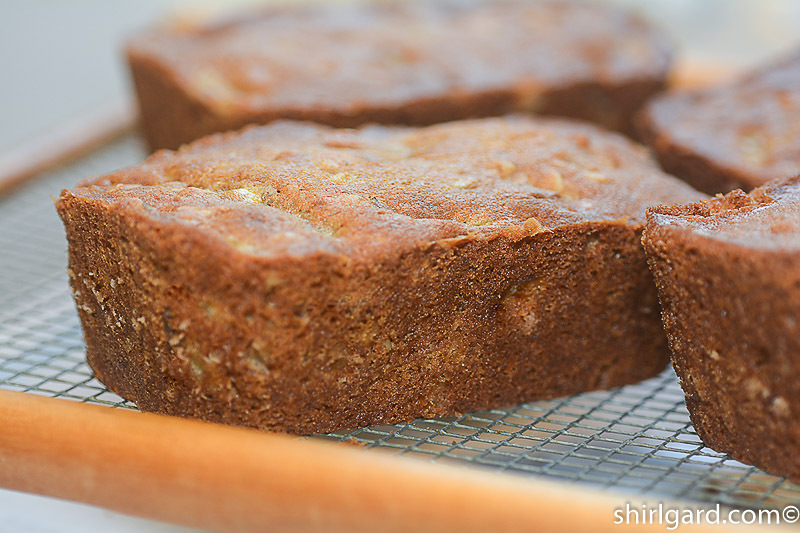 When I first started making this banana bread, it always sank in the center; I had no idea why, but I kept making it anyway because I liked the way it tasted so much. Years later, as a pastry chef, I finally understood how to fix the recipe so that it wouldn't sink, by reducing the leavening. Too much baking powder or baking soda is usually a likely culprit when you have a "sinking" problem. I also cut back on the sugar because it seemed a little too sweet to me. I have found that many older baking recipes have too much sugar for today's taste. 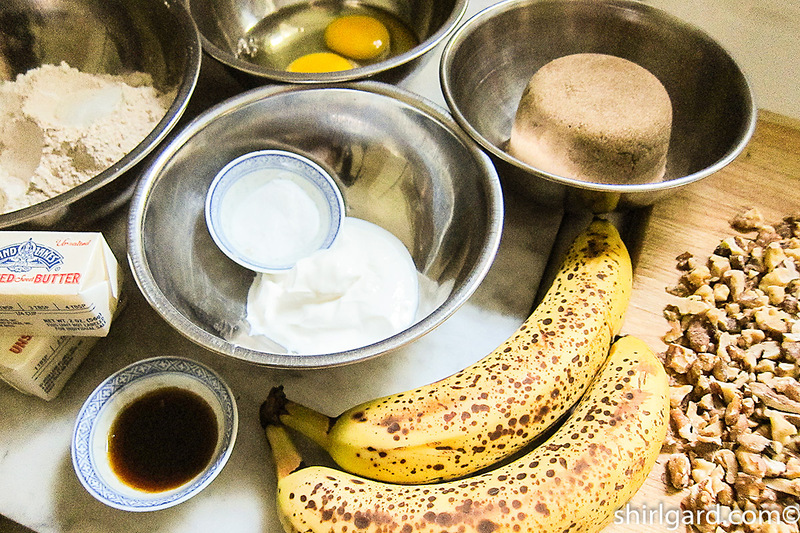 I prefer to use King Arthur for all three kinds of flour listed in this recipe, and in general. 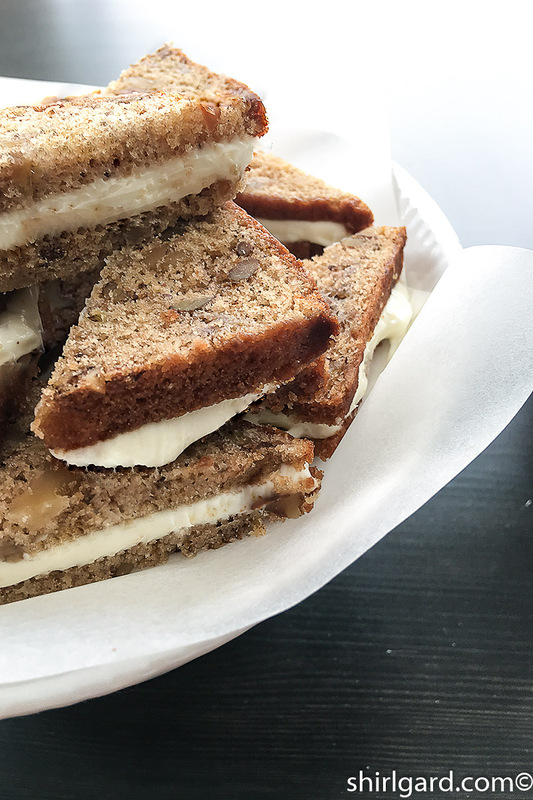 The "brown" in the name comes from the brown sugar and whole wheat flour, which together produces a great flavor when combined with bananas and walnuts. 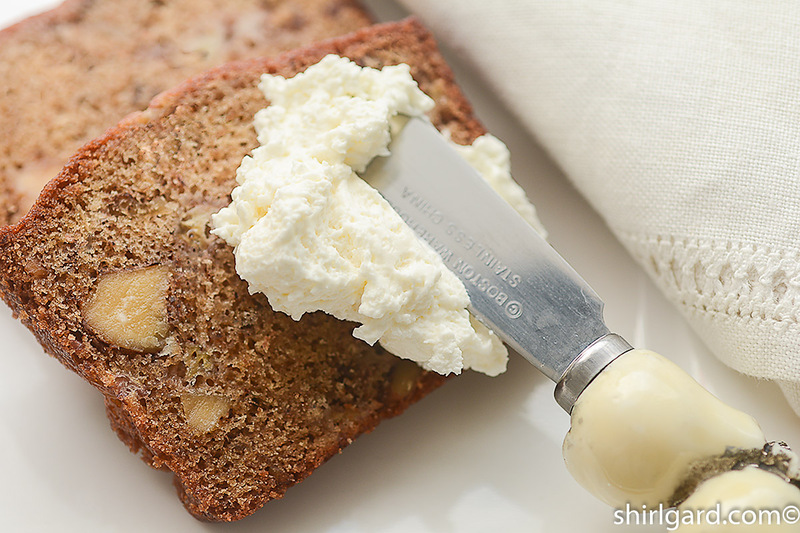 This is definitely my favorite banana bread recipe even though I've tried many others. 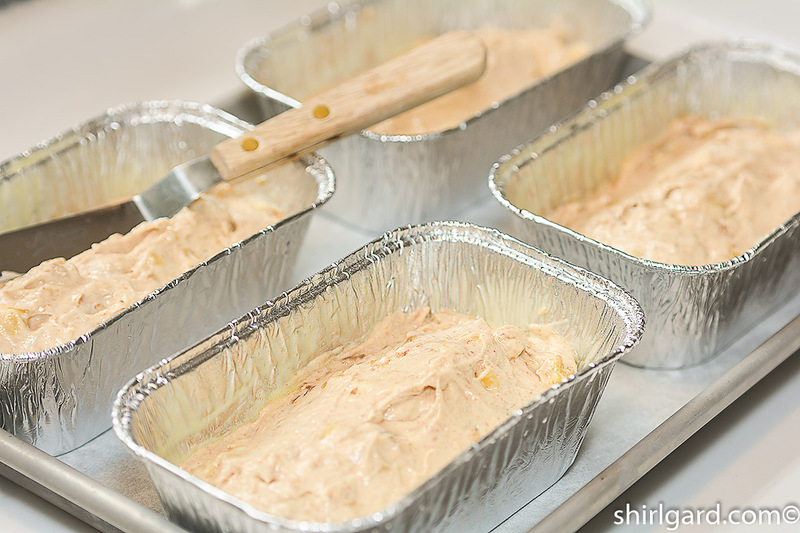 PREP PANS & PRE-HEAT OVEN: Spray desired pans generously using a non-stick spray with flour. 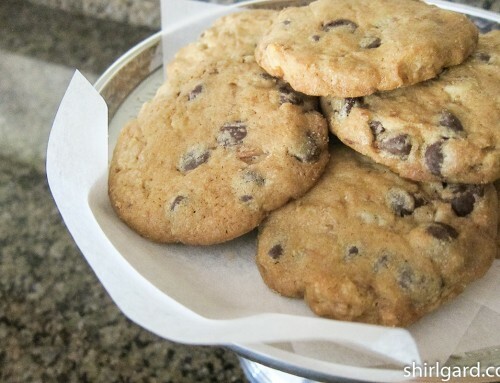 Set pans on a quarter sheet pan lined with parchment paper. Pre-heat oven to 350° F (175° C). CREAM the butter and the sugar in a Kitchen Aid (or other mixer), on medium speed using the paddle, until well blended and lighter in color and texture. ADD the eggs and vanilla and beat until light and fluffy, about 5 minutes. DISSOLVE the soda in the sour cream and beat into the creamed batter. 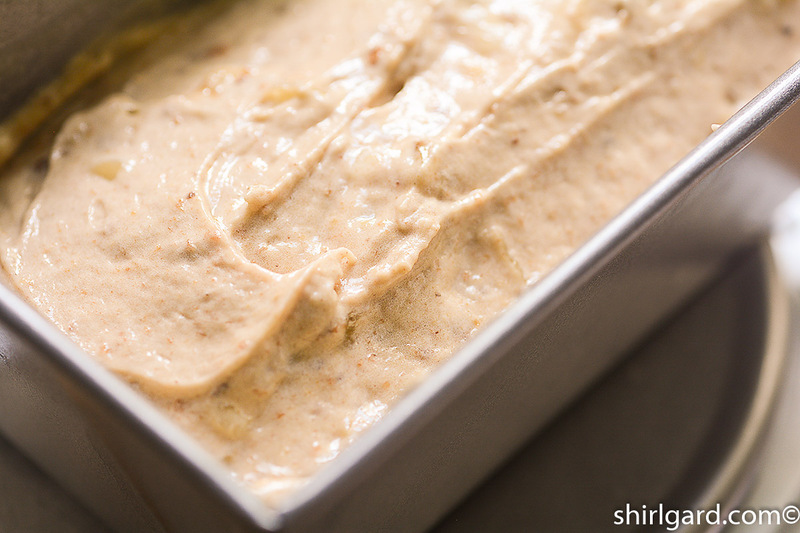 SIFT the flour and baking powder, add salt, and whisk until completely mixed. 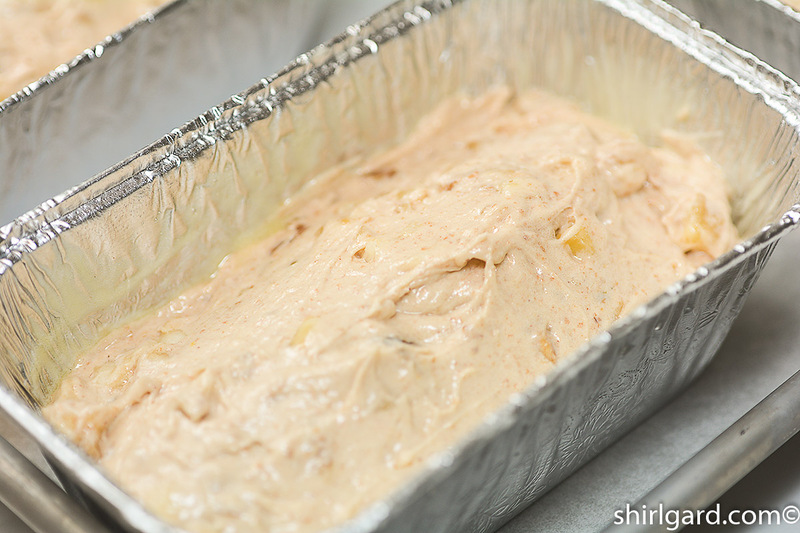 Add the dry ingredients to the batter and pulse very slowly on low speed until completely incorporated. 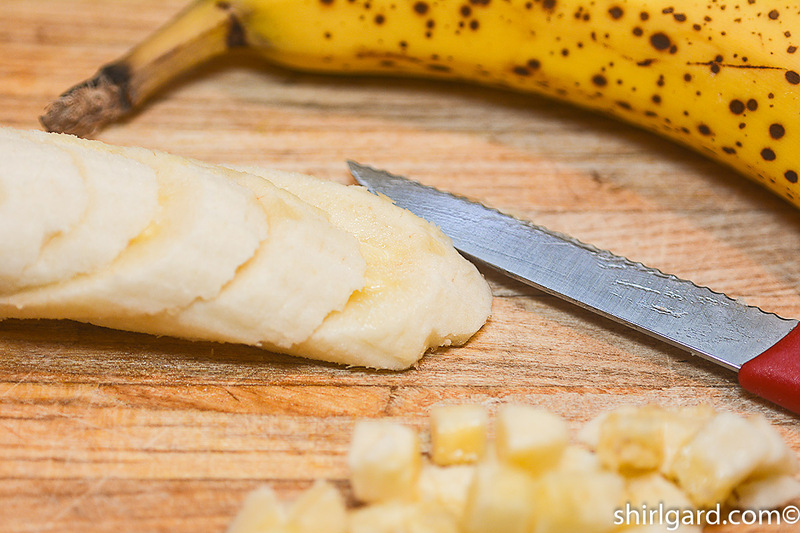 Remove the bowl from the mixer and fold in the bananas and walnuts by hand, using a rubber spatula. 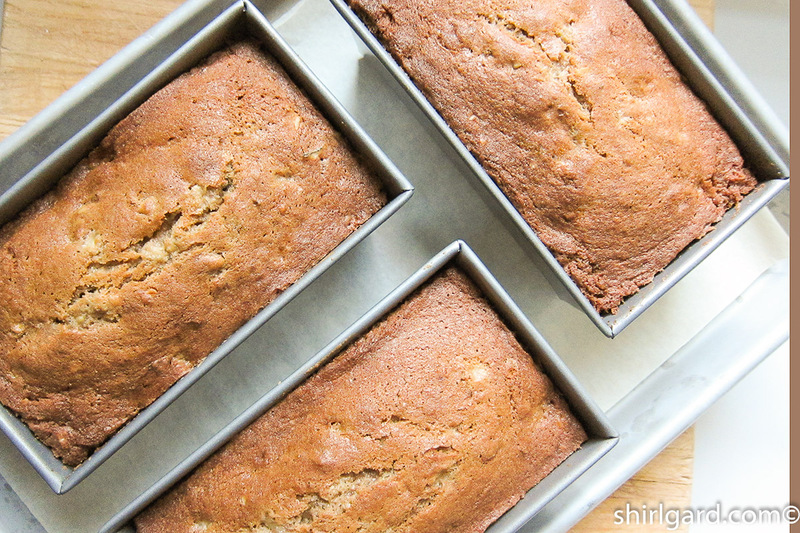 SCALE batter into three mini loaf pans at 325g (11½ oz) per pan. 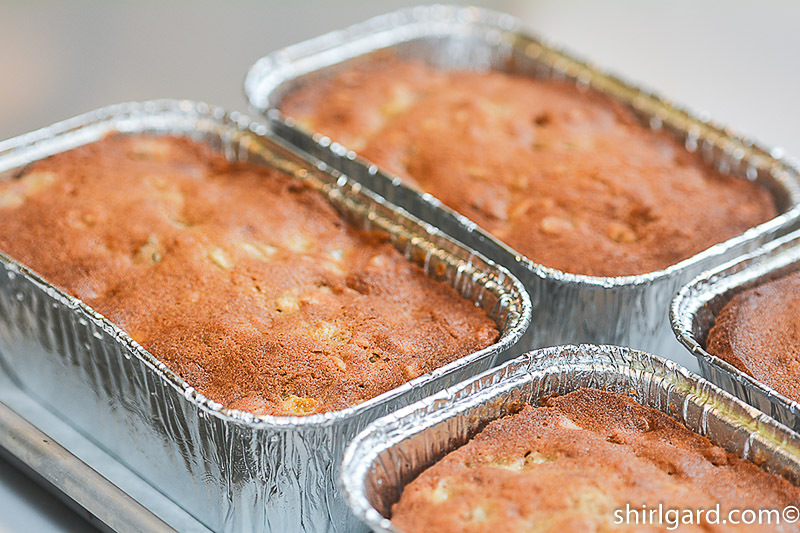 If using disposable aluminum baby loaf pans, scale into four pans at 240g (8½ oz) per pan. 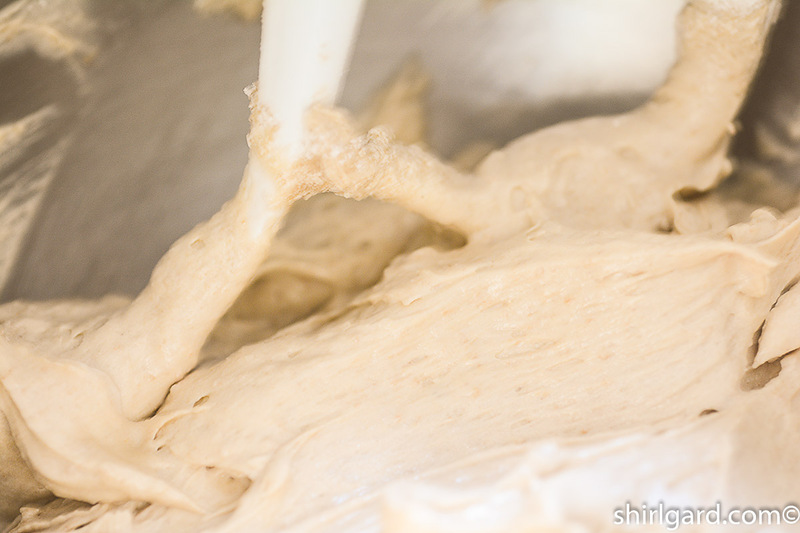 Smooth the tops with a small offset spatula or the back of a spoon, heaping the batter down the center of the pans. BAKE on top shelf at 350° F (175° C) for 20 minutes. 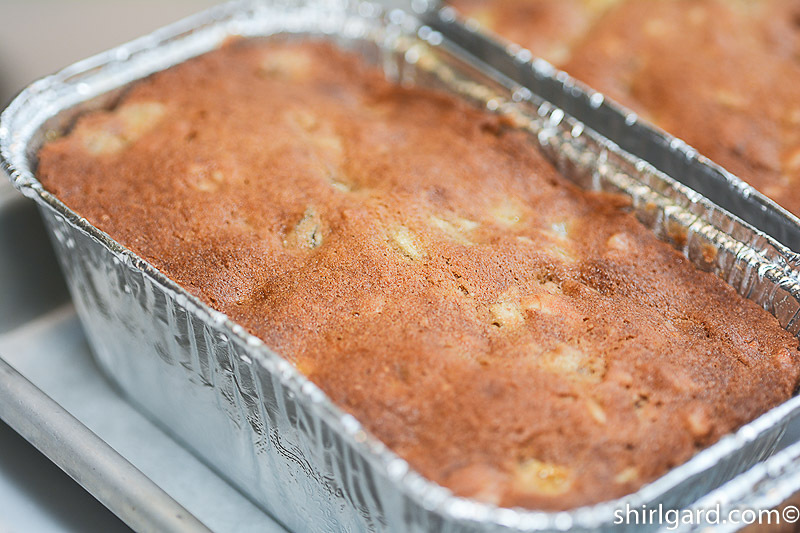 Lower temperature to 325° F (165° C), rotate the pan and finish baking on bottom shelf. 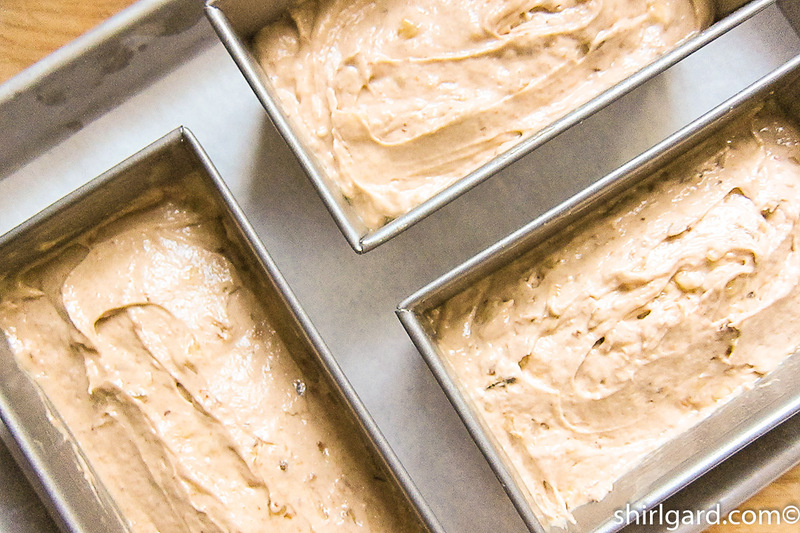 Mini loaf pans will take 35-40 minutes; the baby loaf pans will take 30-35 minutes. 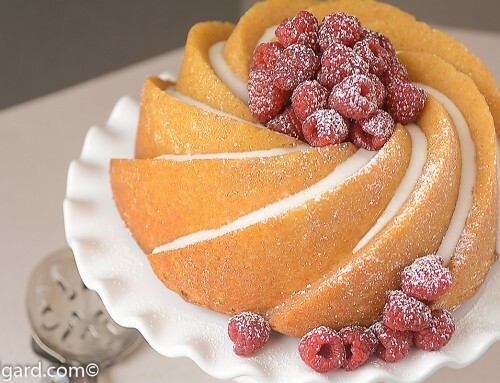 Bake until a cake tester or wooden skewer inserted in the center comes out clean. 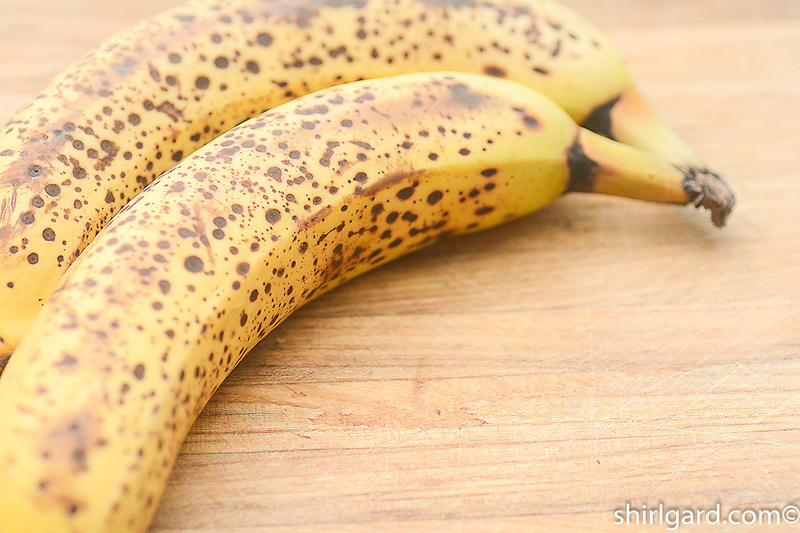 If using a thermometer, the internal temperature should be 210° - 212° F (99-100° C) when the banana bread is fully baked, If, at any time, the tops look like they are getting too brown, cover loosely with a piece of aluminum foil. I usually cover them during the last 5-10 minutes of baking. COOL in the pans on a rack for about 15 minutes before removing the loaves from the pans. Continue cooling loaves to room temperature on the rack. 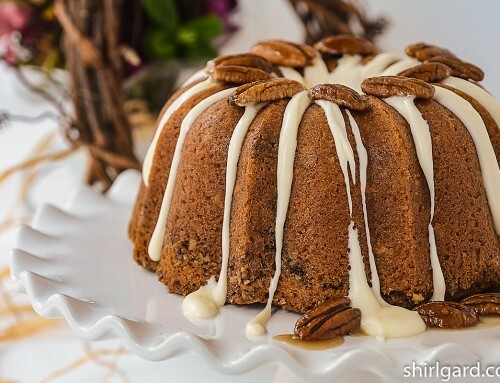 I adapted this recipe from a clipping out of Gourmet Magazine, one of my all-time favorite magazines, in October 1973, and have been making it ever since.